Whether you’re enjoying a night out, downing a few lager tops with your besties, or you’re playing pranks on your colleagues during daytime - capture each and every moment in beautiful photos. It doesn’t matter whether you are under the bright sun or surrounded by fairy lights in the dark, the cameras of this smartphone let you take pictures like a pro. Take advantage of the Portrait Mode to snap Insta-worthy portraits and group selfies, or set up a Google account and enjoy unlimited online photo storage. The Pixel 3 boasts a 2915 mAh battery that not only charges fast, but also lasts for almost all day. In addition, it also limits the battery usage for the applications that you don’t use often. Now, ain't that smart? A flower on the street, whose name you don’t know or a strange animal you encountered while trekking in the wild - use Google Lens to search what you see using the Internet. It also helps you translate texts and identify landmarks, among other stuff. 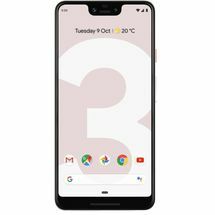 Buy Pixel 3 At Google Store Near Me - Shop For Pixel 3 NearBy - Google Pixel 3 Showroom in Bangalore. 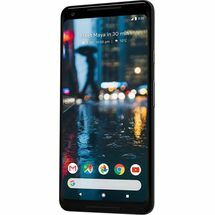 Buy Pixel 3 At NearBy Gooogle Store - Purchase Pixel 3 From Google Showroom in Bangalore - Google Pixel 3 Store Near Me Product Description Staying too far from your loved ones? Video call them for hours on end. The weather is romantic? Listen to your favourite playlists all day long. Don’t want to go out this weekend? Then binge watch your favourite series on the Internet or perhaps play your favourite mobile video game; do all that and much more. The Pixel 3 ensures that there’s never a dull moment, all thanks to its powerful battery, impressive cameras and its expansive bezel-less display. Click Like a Pro Whether you’re enjoying a night out, downing a few lager tops with your besties, or you’re playing pranks on your colleagues during daytime - capture each and every moment in beautiful photos. It doesn’t matter whether you are under the bright sun or surrounded by fairy lights in the dark, the cameras of this smartphone let you take pictures like a pro. Take advantage of the Portrait Mode to snap Insta-worthy portraits and group selfies, or set up a Google account and enjoy unlimited online photo storage. A Battery That You Can Bank Upon The Pixel 3 boasts a 2915 mAh battery that not only charges fast, but also lasts for almost all day. In addition, it also limits the battery usage for the applications that you don’t use often. Now, ain't that smart? Hi, How Can I Help You? 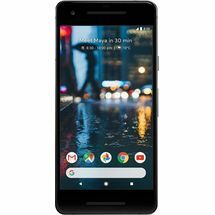 Loaded with the Google Assistant, the Pixel 3 offers you a personalized smartphone experience. Whether you want to find a good restaurant nearby, get weather info, or you want flight updates - all you need is a simple squeeze or just your voice, and of course the Internet, to activate the Google Assistant. Strike the Ideal Work-life Balance Missing out on social media notifications or emails can be fun sometimes. This smartphone lets you set timer on applications, as well as turn off visual notifications so you can spend some real quality time with your loved ones, without being distracted. In addition, you can also take advantage of its Wind-down Mode to turn the screen to greyscale for a good night’s rest. Like What You See? A flower on the street, whose name you don’t know or a strange animal you encountered while trekking in the wild - use Google Lens to search what you see using the Internet. It also helps you translate texts and identify landmarks, among other stuff. 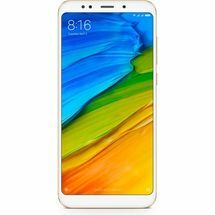 Expansive Internal Storage Use this phone’s 64 GB of internal storage to store as many photos, videos and ebooks as your heart desires. Big and Beautiful to Boot Its 13.97 cm (5.5) OLED bezel-less display, with 78% body-to-display ratio, offers you an impressive viewing experience. 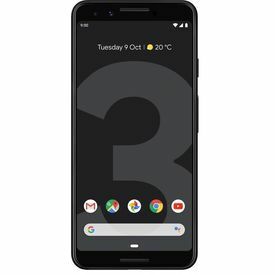 Buy Pixel 3 At Google Store Near Me - Shop For Pixel 3 NearBy - Google Pixel 3 Showroom in Bangalore.